A set of detailed true to scale Warships in authentic finishes. Please note that this series is without its outer box but content is new. 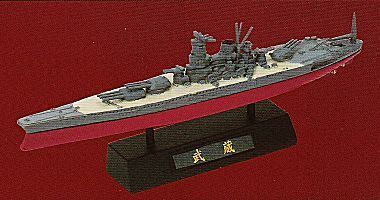 Mighty World War II Japanese Battleship Yamato. Length is about 12cm. 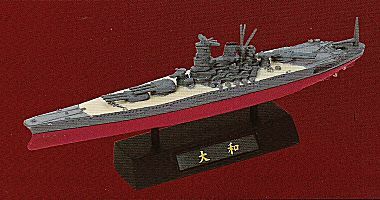 World War II Japanese Battleship Musashi, sister ship to the Yamato. Length is about 12cm. 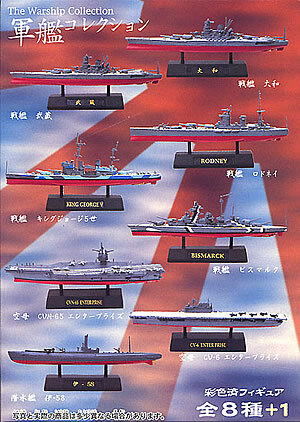 World War II British Battleship HMS Rodney. Length is about 12cm. 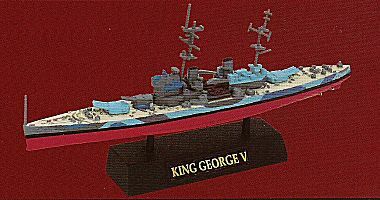 World War II British Battleship HMS King George V. Length is about 12cm. 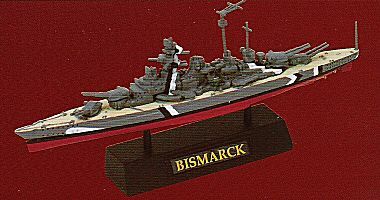 World War II German Battleship Bismarch with 2 seaplanes. Length is about 12cm. 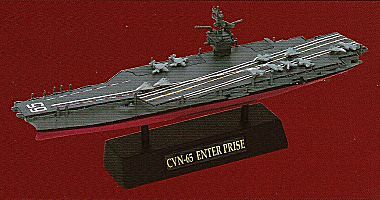 Modern US aircraft carrier USS Enterprise with 12 assorted aircraft. Length is about 12cm. 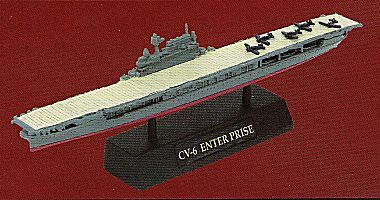 World War II era US aircraft carrier USS Enterprise with 5 aircraft. Length is about 12cm. 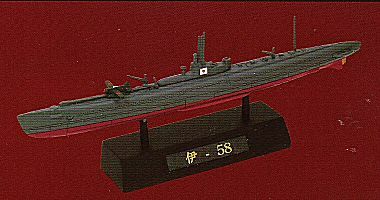 World War II Japanese scount submarine with seaplane in 1:144 scale. The Yamato Battleship with Green hull bottom. Rare - Only a few in every case is a special.